Home Running Injuries Hip and Pelvis Proximal Hamstring Tendinopathy… The plot thickens! We know from research that tendinopathy is often caused by a rapid increase in load. 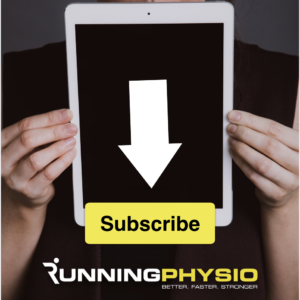 In runners we often hear the common story of pain starting after a big change in training but there are other factors to consider too. One often neglected piece of the puzzle is past medical history and, in my case, psoriasis. …Over Christmas this year I started to develop some finger pain in the Distal Interphalangeal Joint (DIP – the joint at the end of your finger) of my left middle finger. DIP joints are a common site for psoriatic arthritis. I also have nail bed changes (see picture below) which are more common in those with psoriatic arthritis. … After a brief subjective history and examination the consultant said something along the lines of, “You may well have psoriatic arthritis but we'll need further tests to know one way or the other.” He was concerned that joint symptoms I'd happily dismissed as normal aches and pains might be the very early signs of inflammatory joint pain. In my case of PHT my symptoms co-incided with a rapid increase in hill running (see below) which is known to be an aggravating factor for the hamstring tendon. It still seems likely that this was the underlying cause but it may be that a low level of psoriatic arthritis was present and influenced the tendon's ability to manage load. Trauma or rapid increase in loading can lead to an onset or aggravation of psoriatic arthritis and related tendon symptoms. …Don't forget the past medical history! Seek appropriate specialist input if you suspect involvement of rheumatological conditions including psoriatic arthritis, rheumatoid arthritis, ankylosing spondylitis and gout. Most of these conditions present with joint pain, swelling and early morning stiffness but these signs can be subtle in early stages. Early diagnosis is important for long term joint health and effective treatment. Despite this, diagnosis is frequently delayed, for example the average time to diagnosis of ankylosing spondylitis can be as high as 8-11 years (although Danish research does suggest this is improving). If you're concerned about your joint health consult your physio, GP or health professional. It's best to get these things checked out! Severe and recalcitrant (especially bilateral) plantar fasciopathy, Achilles tendinopathy should always prompt consideration of seronegative inflammatory arthritis – AS, enteropathic, psoriatic etc.